Singapore is said to be the Southeast Asian version of New York City. It may be small on the map, but much like New York, this little city has an entire world to offer. And even if people described the city-state as a playground for the rich, the Little Red Dot can still be as awe-inspiring even if you put all the luxurious and extraordinary experiences aside. 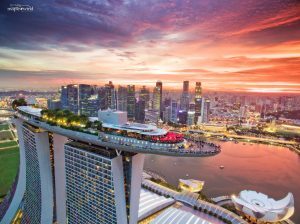 There are a lot of reasons to fall in love with Singapore, and we bet you’d be just as impressed as most globetrotters are. Here are six of our favourite reasons why we truly love and adore the City of Lion. Singapore’s Changi International Airport is consistently voted as the world’s best airport by both consumer and industry polls. When you get a glimpse of the airport’s movie theatre, swimming pool, beauty centers and even nature trails, you’ll be begging to have your flight delayed in Singapore. The weather is pretty decisive here. When it rains, it pours (literally! ), and when it shines, it really is blaring hot. Either way, it’s almost always warm, so it’s easier to get dressed. Just make sure to bring an umbrella with you to protect you from extreme weather condition. The city is still alive even after sundown. People are still busy and shops are still open for business. When you forgot to buy bae an anniversary gift or you desperately need an outfit for an event in the morning, the long retail hours are your lifesaver. Litter on the ground or garbage along sidewalks are practically non-existent that you’d wonder where they would throw their garbage. Everything, from public transportations to the city streets to the benches on the sidewalk, are unbelievably clean. 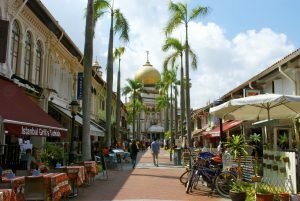 When you visit Singapore, you’ll be confident to explore the city even in the wee hours of the day without the fear of getting robbed. This speaks volumes about how safe Singapore is and how disciplined the people are. Not many countries can claim that they’re a multi-cultural land, which makes the Little Red Dot even more special. In Singapore, people celebrate Chinese New Year, Deepavali, Hari Raya Haji and Christmas; people eat nasi lemak, Indian curry, chicken rice, pasta and bread and burger and fries. It’s like living in a big, happy family when you’re in Singapore. 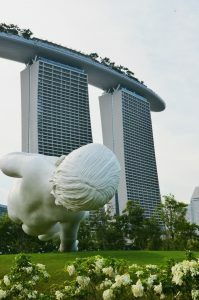 Whether you’re visiting Singapore for business or just for vacation, there’s so much to enjoy in this little city-state. See Singapore for yourself, and discover more reasons to love the City of Lion. Do you fancy going to a gallery during your day off this weekend? Well, this is the perfect time that you consider the National Gallery Singapore. 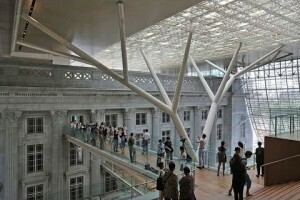 The National Gallery Singapore finally opened its doors on November 24, 2015. 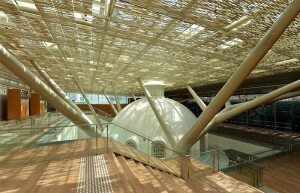 The gallery is one of a kind because it is the first museum in the world devoted to present Southeast Asian modern art. Though it took ten years to complete this gallery, it succeeded in housing the largest collection of modern art around the world. 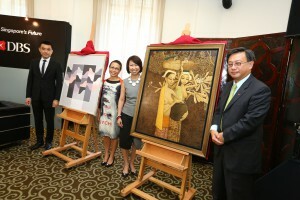 The art includes paintings from Singapore and the rest of Southeast Asia. On its first day, it welcomed at least 4,200 visitors including walk-ins and pre-registered visitors. The very first visitors of the gallery are students. The students were a part of the project “50 Experiences for 500 Kids”. This project gives importance to underprivileged children from 7 to 12 years old. The students made it a point to join the workshops and programmes offered by the gallery. The gallery is for everyone however from now until December 6, the gallery administrators advise people to pre-register online at their website. This is helpful for people who do not want to be inconvenienced by long lines. Going to the library is a new activity that you can consider during your day off. With many art pieces, you will not get bored and you will realize how talented Southeast Asia is. There are different collections that you can consider but regardless of the collection, the gallery merely wants to evoke arts appreciation not only here but around the world.